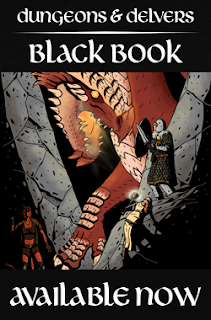 You can find our DriveThruRPG store here. If you buy anything using the Buy Now buttons, please allow up to 24 hours for delivery. It probably won't take that long, though. At the most I'd expect an hour or so: Melissa and I will have to email them out ourselves, so if we're out and about or sleeping it could take a bit. 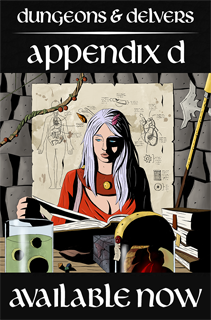 We will also send complimentary copies through DriveThruRPG, so you can have everything in one place. Links to playbooks are broken. Seems that they are removed from rpg.drivethrough. Can u get this work? @ZiCold: Sorry about that. Had to edit the page. For now they gotta be bought directly from us, but when we get our DriveThru account fixed we'll send out complimentary copies. Seekers of the Sand (on the D&D page) got zapped too, if you get a chance. @Brett: Our store should be back up some time today or tomorrow. Did you need the pdf again? Hello, I think I got the playbooks through your site when when your drivethur account was down. Have you fixed the cross linking so I could down load from drivethur yet? We have to email comp copies manually. Email me (antiochcow@gmail.com), and I can send them your way! Might I suggest...The Samurai as a playbook? @Rowdy: We can add that to the next class vote. 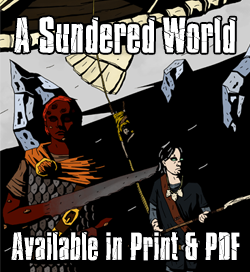 Currently gotta wrap up the cleric, paladin, and player thing for A Sundered World. Also working on a mimic, but that's in my spare time.